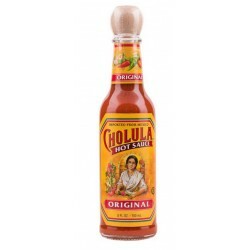 > Sauzen>Hete "Cholula" Saus 150 ml. Cholula Hot Sauce Original is all about Flavor, Fire and Fun. More than any other Hot Sauce, Cholula's delicious blend of piquin peppers, chile arbol and signature spices enhances food flavors without overpowering them. 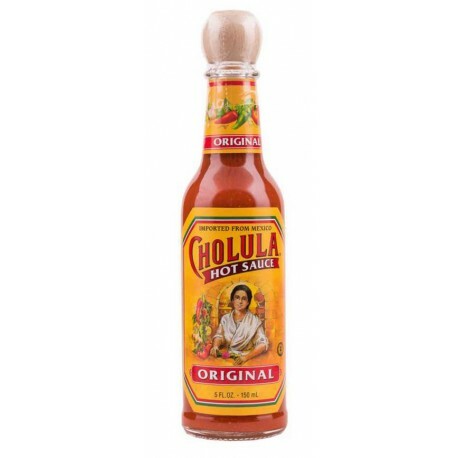 It's a combination that has defined Cholula as The Flavorful Fire. Cholula makes your enjoyment of eggs, omelets, soups, pizza, dips, appetizers, drinks - virtually all your favorite foods - a more festive experience you will want to share with others.